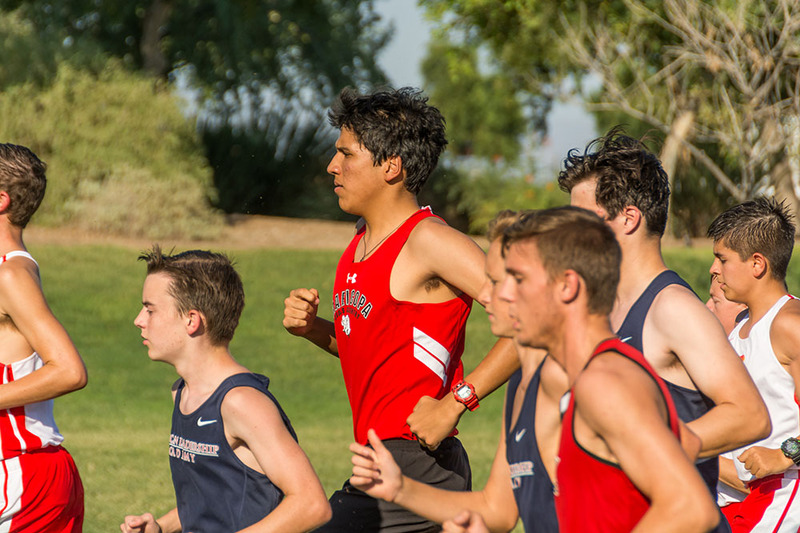 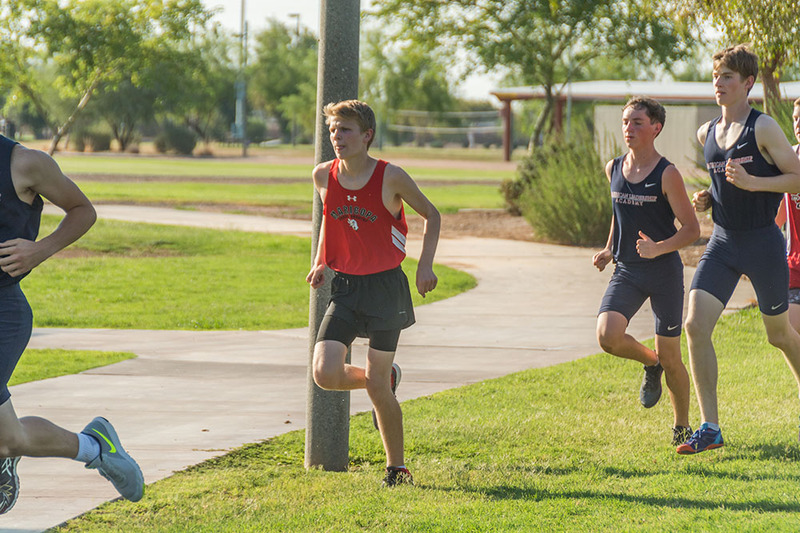 Cross country runners had a tough 2017 season opener in Chandler on Wednesday as temperatures reached up to around 109 in the afternoon. 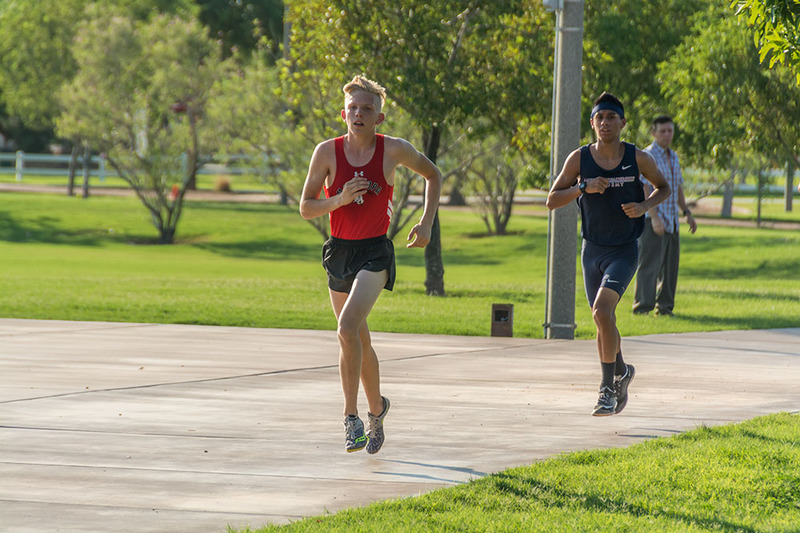 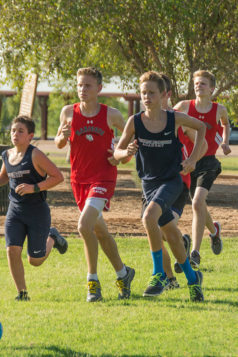 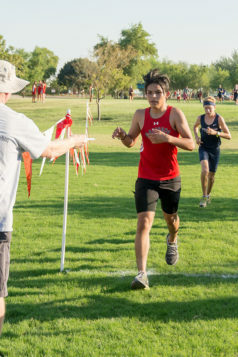 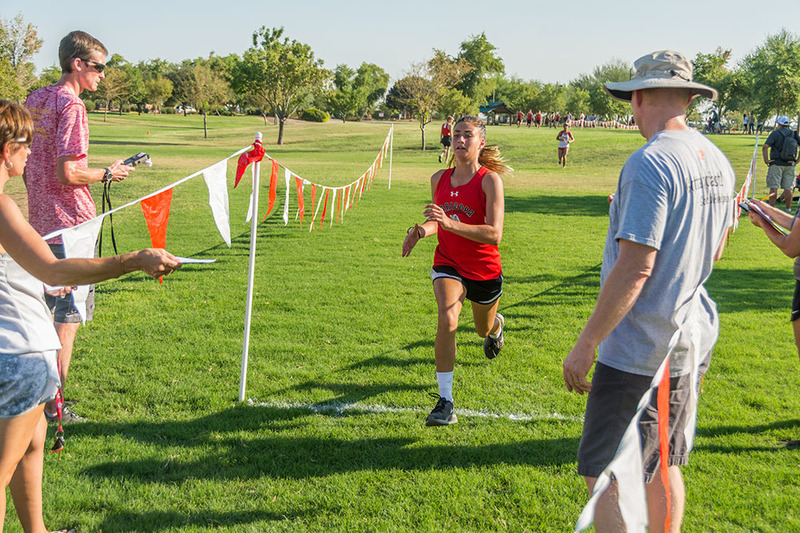 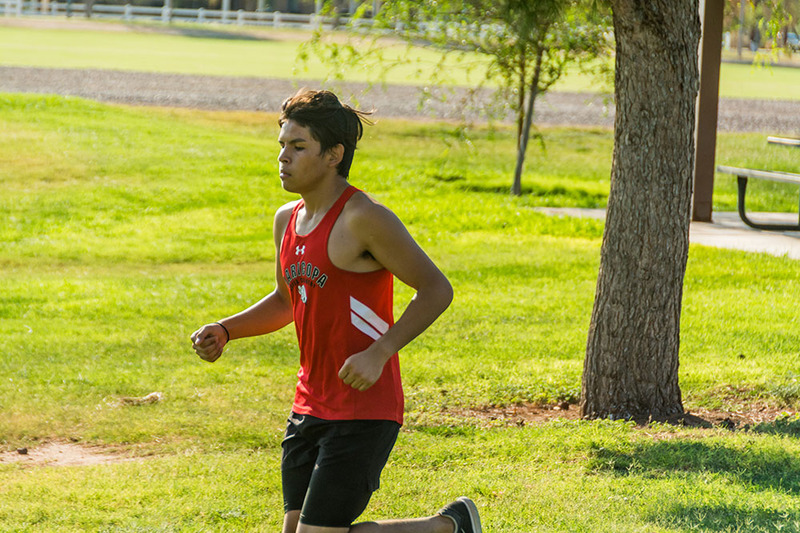 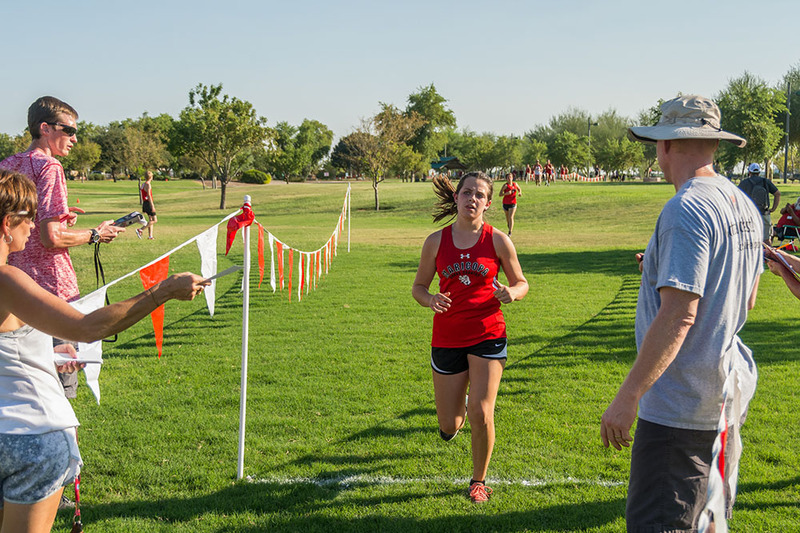 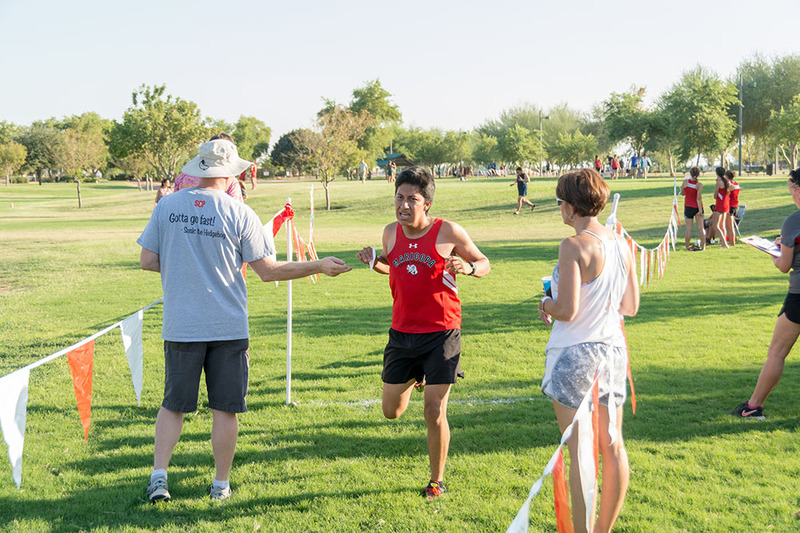 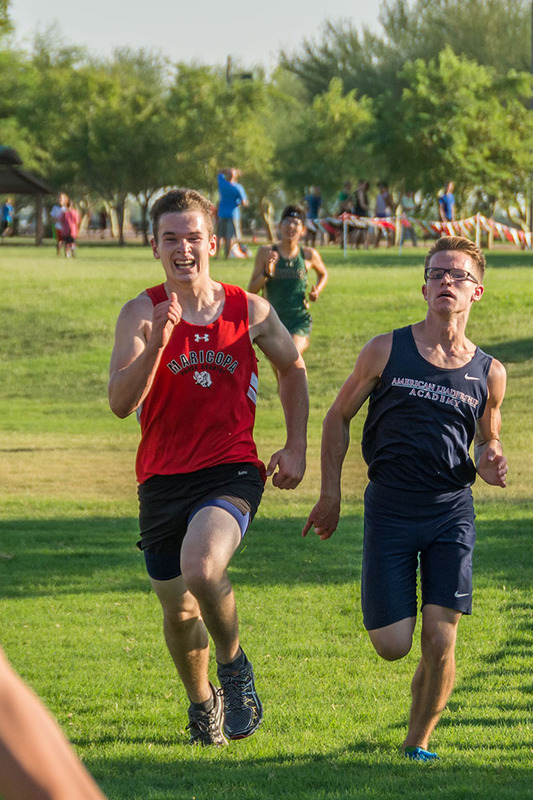 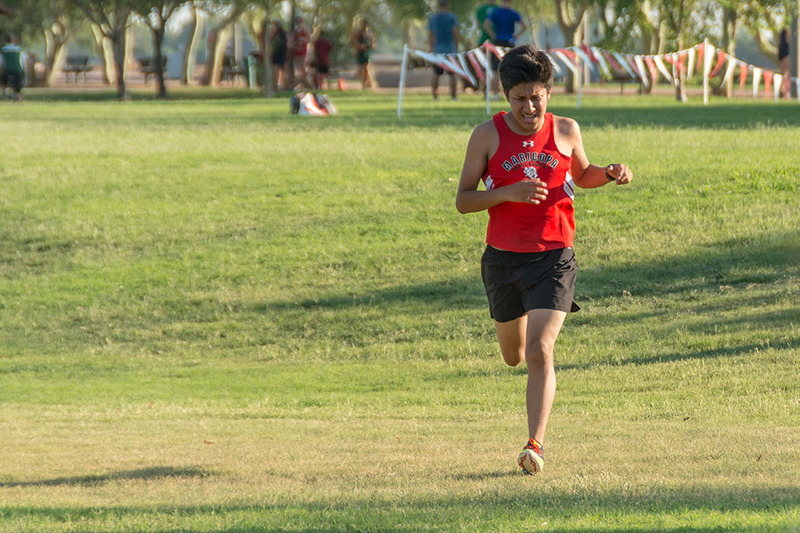 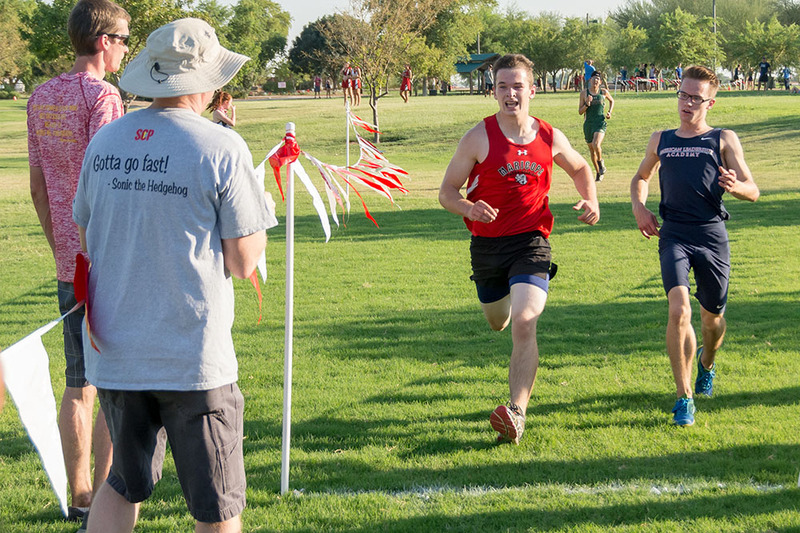 Nevertheless, several Maricopa High School Rams runners finished strong at a five-way meet at Tumbleweed Park with members of both the girls’ and boys’ teams finishing in the top 10 of their respective races. 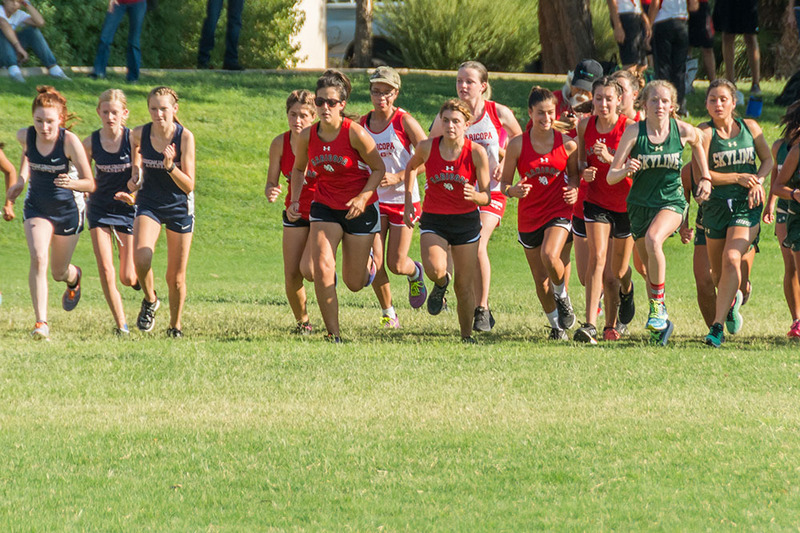 The lady Rams had two runners finish in the top 10. 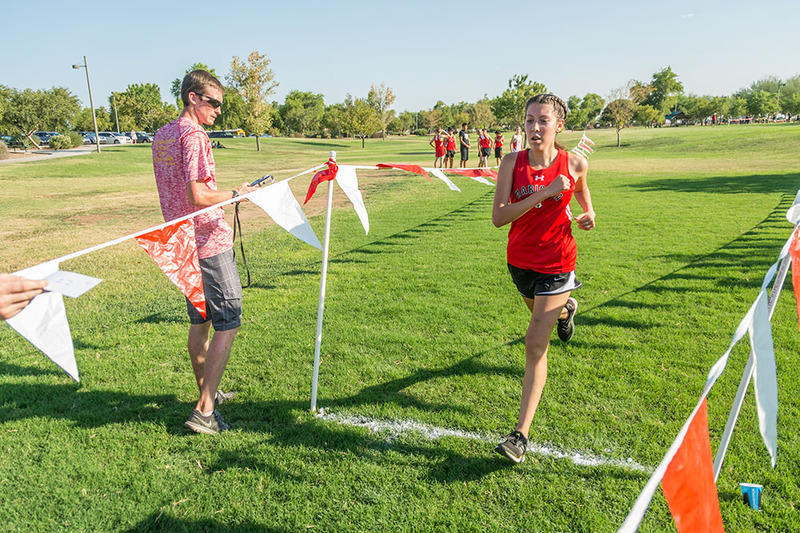 Sophomore Evelyn Corliss came in second with a time of 23:22, and senior Megan Carr was ninth with a time of 25:36. 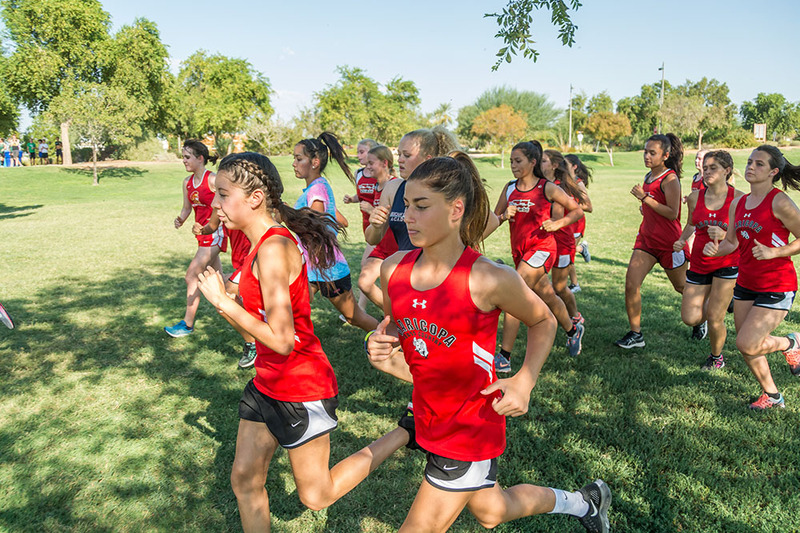 Overall, the girls finished fourth at the meet with 76 points, running against the American Leadership Academy (38), Skyline (52), Combs (82), and Seton (no score). 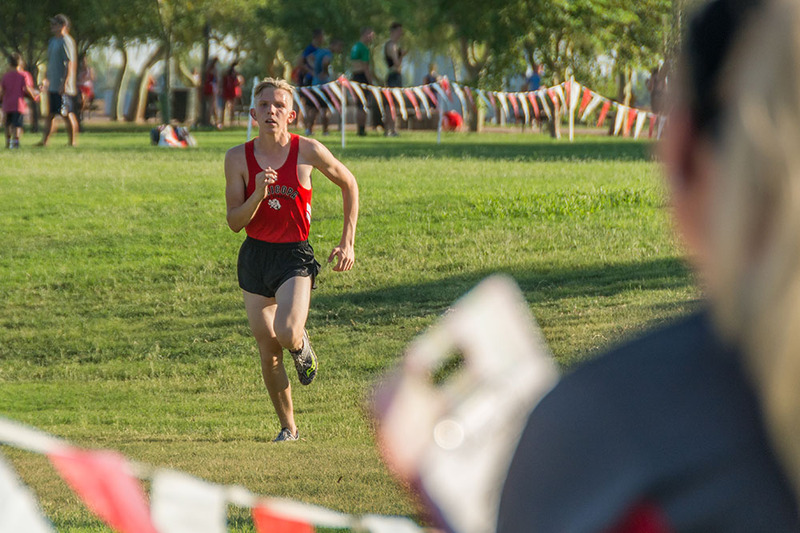 The gentleman Rams, coming off a state-qualifying season, had only one runner come in with the top 10. Junior Alec Kramarczyk finished seventh in 19:29. 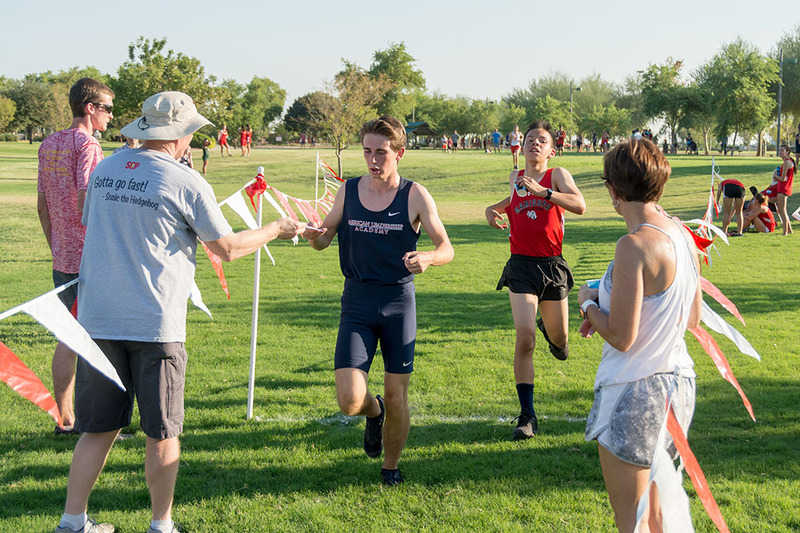 The next MHS runner, senior Chet Carroll, came in 16th with a time of 21:01. The heat and the intensity of the first race did get to one MHS runner. 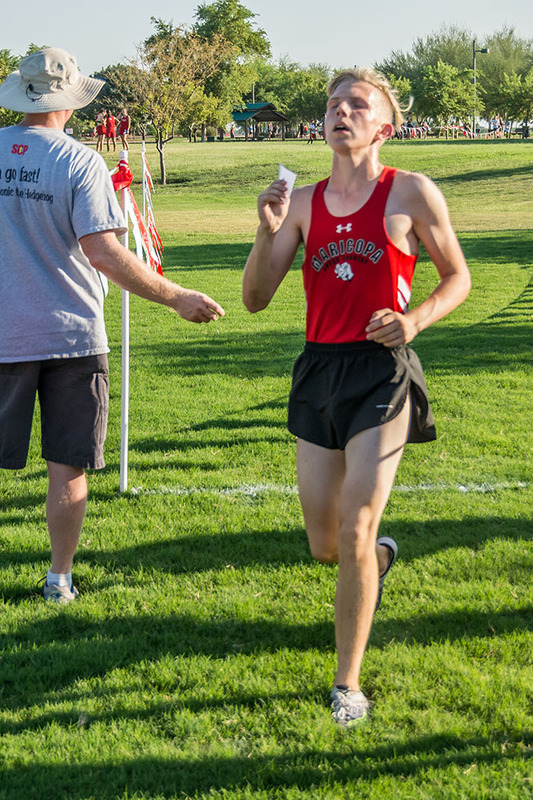 Senior Caleb Wilson pushed through a severe cramp toward the end of the race finishing 44th out of 56 with a time of 25:15. 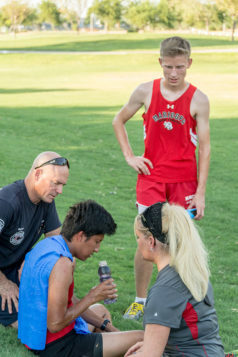 Wilson collapsed shortly after crossing the finish line and was treated by emergency personnel for symptoms related to the heat. 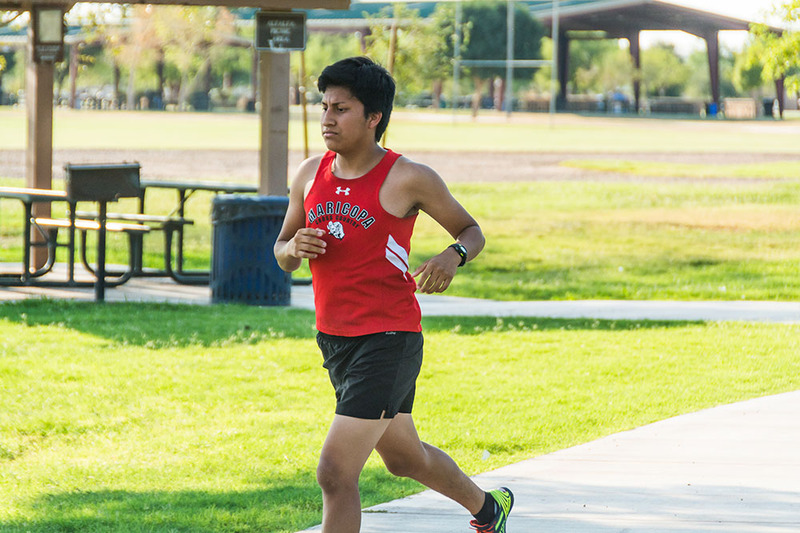 Abel also said running in these hot temperatures can prove trying. 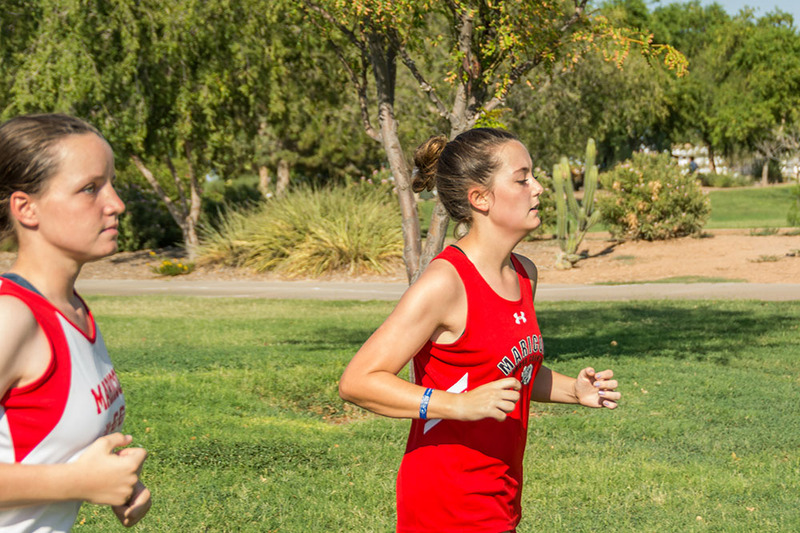 However, she knows most of her runners are aware of the dangers and run accordingly. 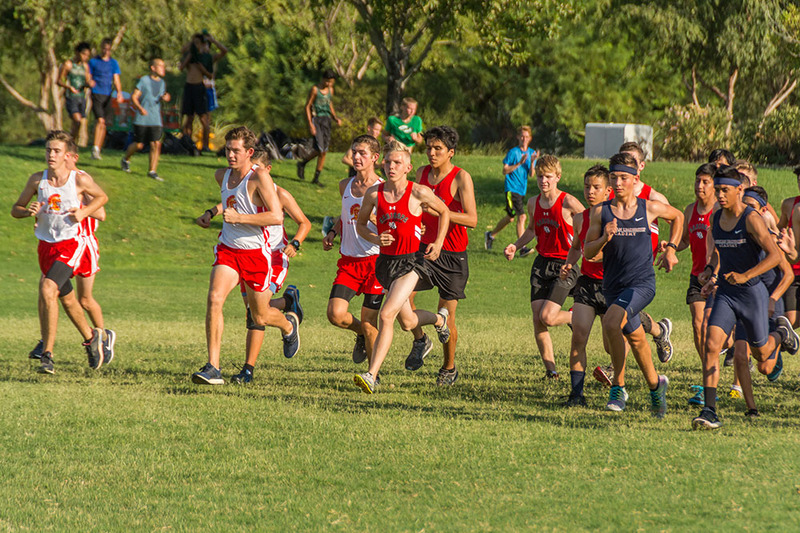 The boys also finished fourth, scoring 95 points against Seton (37), ALA (42), Combs (82) and Skyline (98). 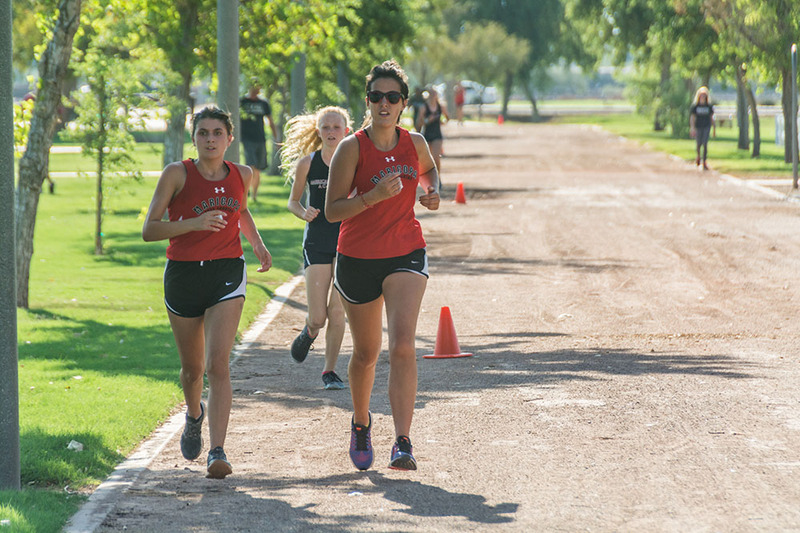 Her girls’ squad has six new runners this year, but Abel isn’t too worried about the fresh faces. 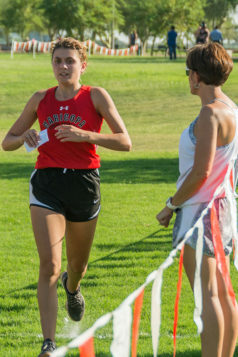 Corliss is one such fresh face and by finishing second in the season opener, Abel said, she has high hopes for the rest of the season. 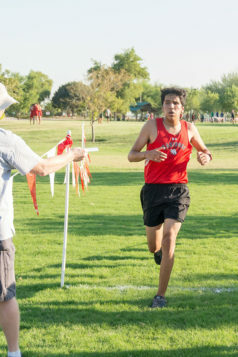 Though there is always room for improvement, Corliss, personifies the ideal student athlete, the coach said. 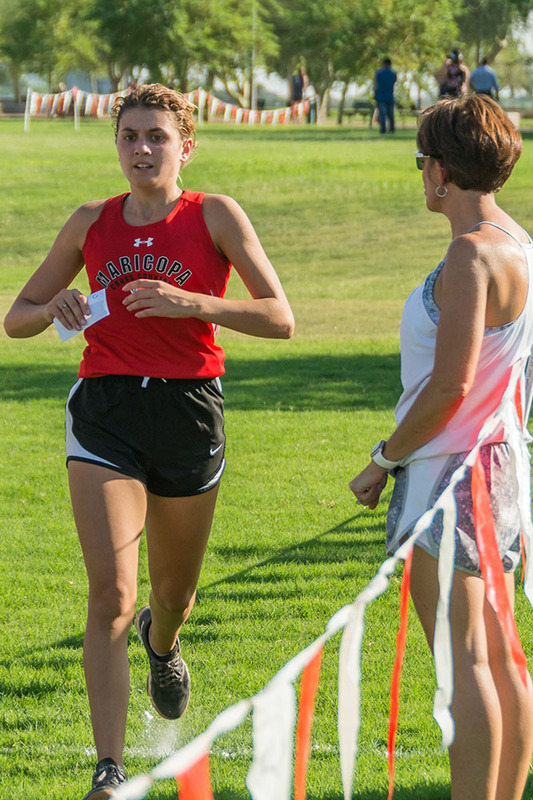 “She’s just one of those who never really says anything, never complains, she just kind of does it,” Abel said. 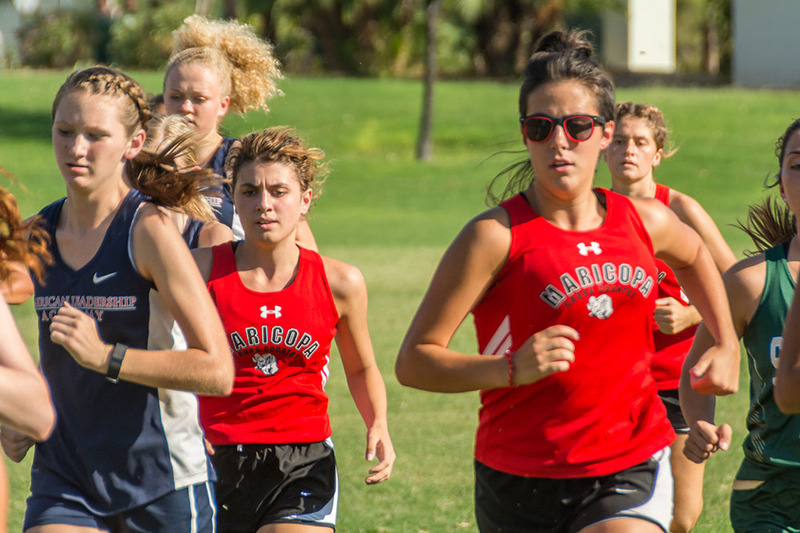 The boys are also showing their competitive nature, she said, with several of them vying for the top five positions. 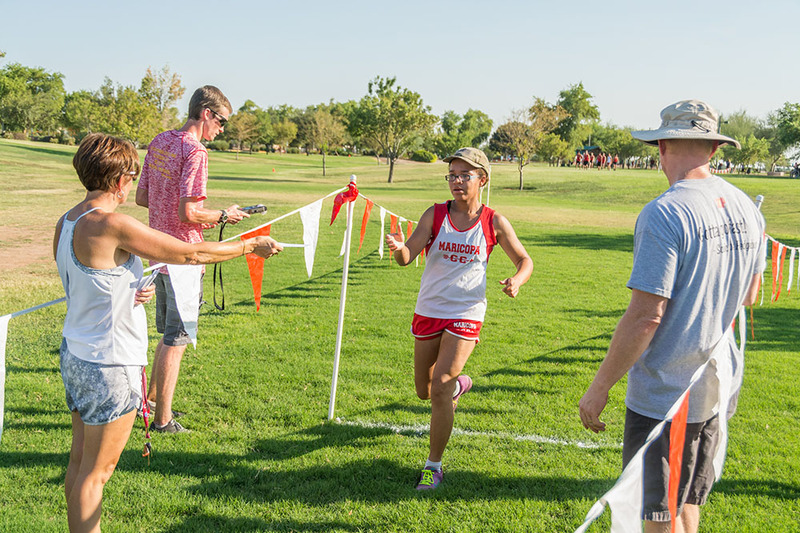 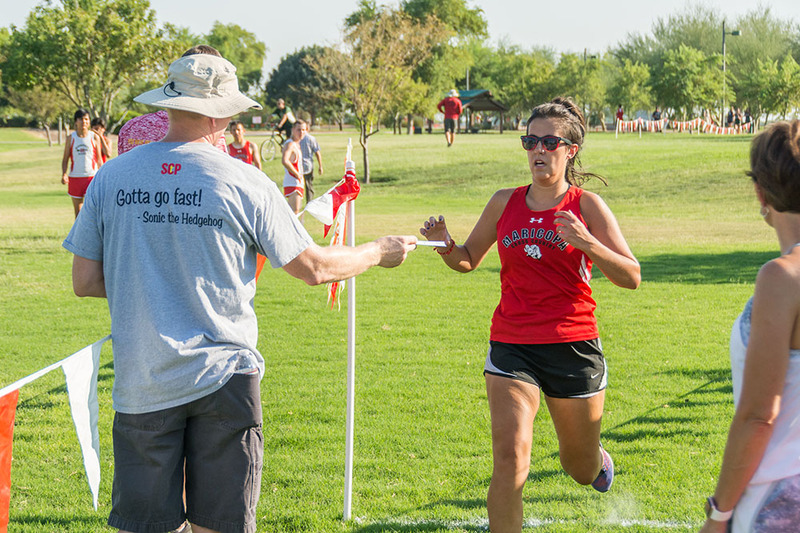 The Rams will return to Tumbleweed Park Sept. 2 at 7 a.m. for their next meet, the Chandler Invite.